We introduced ourselves to Mrs Bedford and Mrs Tovey by describing our families, favourite foods and hobbies, our strengths and hopes for the future. 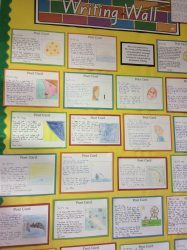 We wrote postcards to Mrs Bedford and Mrs Tovey, using descriptive language to tell them all about an activity we enjoyed over the summer holiday. 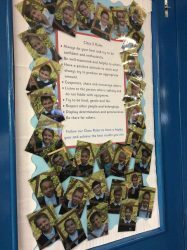 We have spent time discussing and agreeing our class rules. If we all try to follow these rules, we hope to have a happy and successful year. 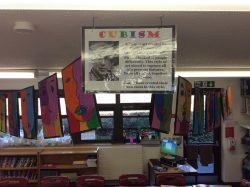 In Art we have been learning all about Cubism and the work of the artist Pablo Picasso. 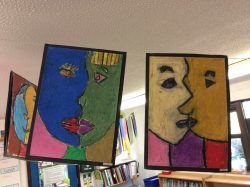 We produced our own colourful portraits in the style of Picasso, using oil pastels to give solid blocks of vibrant colours. 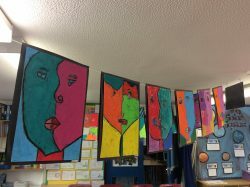 Our portraits aim to capture all of the features of a person’s face from different angles. 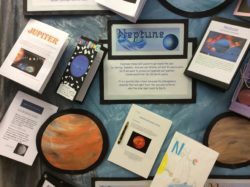 They really brighten up our classroom. 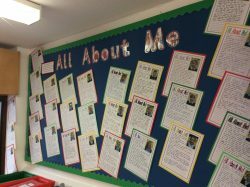 We also wrote biographies about the life of Pablo Picasso. 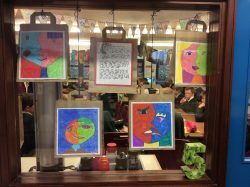 These were mounted with our portraits on paper bags which make for an interesting window display! 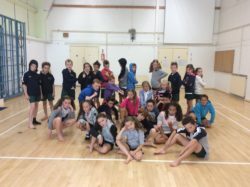 In our dance lessons with specialist dance teacher, Katie Murray, we have learnt a street dance routine based on the story of Matilda. We enjoyed performing this to our parents, family and friends. 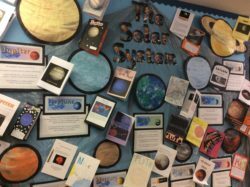 This term we have been learning all about the planets in our solar system. In English we have been developing our information writing sills. 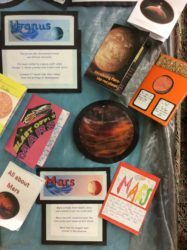 For our homework project we produced these colourful leaflets, incorporating interesting facts, photographs and illustrations to inform the reader. 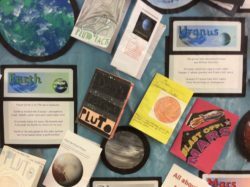 We chose different ways to present our information and the finished leaflets make a colourful classroom display. 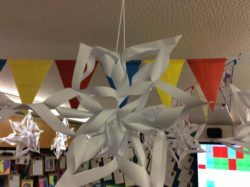 We enjoyed making giant paper snowflakes to decorate our classroom. 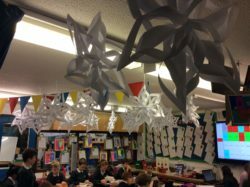 After completing the project, we wrote a set of clear instructions, explaining what would be needed and the steps involved to make the giant decoration. Christmas has arrived in our classroom!